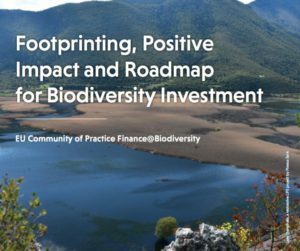 The European Commission started the Community of Practice Finance@Biodiversity to integrate biodiversity, the basis of all life, into investment decisions of financial institutions. Throughout the CoP several participants will share their experiences on their activities and investment strategies regarding ecosystems and biodiversity issues. 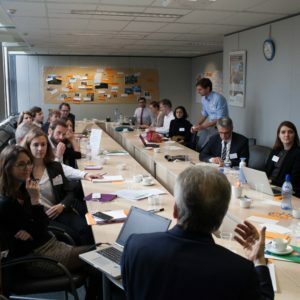 As well as developments around, the EU CoP F@B builds upon experiences from the previous Dutch CoP Financial Institutions & Natural Capital which was also facilitated by NextGreen. Actiam, ASN Bank, AXA Investment Management, CDC Biodiversité, Degroof Petercam, Ebanka, EIB, GLS Bank, Finance in Motion, FMO, ING Belgium, Mirova en Piraeus Bank. Carbon Disclosure Standards Board, Ministry of Economic Affairs, Natural Capital Coalition, Natural Capital Finance Alliance, UNEP FI, VBDO.